I’ve been meaning to point out that you can view the slides used by the incoming Director General of CERN, Rolf Heuer, in his recent inaugural address to the CERN community here. There are many interesting points, but one that comes across clearly is Heuer’s vision of CERN as a global centre for particle research. Of course, one could argue that it already is, but it’s clear from the presentation that the scope of the facility is expected to broaden even further. Fascinating that an inter-european project involving a handful of sparring nations has become so successful that it is now one of the world’s most successful centres for scientific research – and all the more reason for Ireland to join, as I have said many times in public and in the press. As a result of these, the general public saw the LHC first as a threat, and then as something that broke down at the first fence….hardly confidence inspiring. 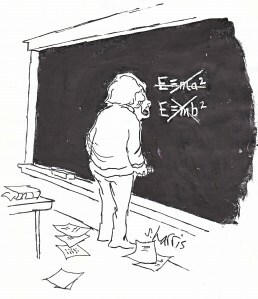 In fact, I saw remarkably few articles in the press on the beauty of particle physics, or the ‘why’ of the experiment. One reason was that sporadic press contributors (like this one) couldn’t get articles accepted due to the sheer volume of articles on the topic by regular journalists (who knew little of the topic). Instead, the public were presented with repeated technical details that interested no-one. Hi Doc.. I think the work at LHC is going to reveal some of the deep secrets of the universe in the years to come. It will all be worth it. Esp if we discover the god particle or how gravity works.. Yes Hoops, it will be great if the Higgs (or something like it) turns up in order to nail the Standard Model.